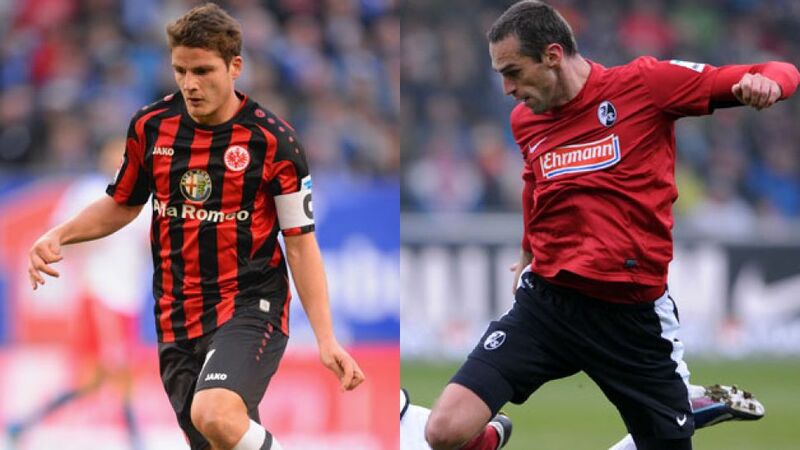 Frankfurt - Eintracht Frankfurt and SC Freiburg are gearing up for a relegation scrap as they seek crucial points in their pursuit of top-flight survival on Sunday afternoon (kick-off 16:30 GMT/17:30 CET). The two clubs who flew the Bundesliga flag in the UEFA Europa League this season could hardly be further away from qualifying for that competition when they meet at the Commerzbank Arena. Freiburg bowed out of Europe first with elimination in the group stage while a spirited Frankfurt fell to FC Porto in the last 32. However, their continental jaunts have now been consigned to the past, with staying in the Bundesliga top priority. "This may not be a final, but we know how enormously important it is," said Eagles' coach Armin Veh. "If we want to stay up, it's going to be vital to win our home games." Frankfurt hold a seven-point cushion over 17th-placed Freiburg, but in the fast-moving world of the Bundesliga, that could soon change. Veh is able to count on his skipper Pirmin Schwegler, who will take to the field wearing a mask to shield a broken nose, while also nursing fractured ribs. "He's got a fantastic attitude," Veh said. "He recognises how serious the situation is and, despite his injury, he's made himself available. He's a model professional." Freiburg are likewise able to call upon a loyal servant in Pavel Krmas, who extended his contract earlier this week. "Even after seven years, I still love playing and working for SC Freiburg," said the Czech Republic defender. "I want to pay back the faith shown in me." That could prove difficult on Sunday however, as history is not on Freiburg's side against Frankfurt, who have not been beaten by their south-western rivals in four games. Moreover, Freiburg have only managed to score four times in their last eight meetings with the Eagles. Nevertheless, coach Christian Streich remains upbeat about his side's prospects: "We had three or four situations against Dortmund where if we'd played the final ball we'd have had a unmarked man with a chance to score. The fact we managed to get at Dortmund like that is very good." Austrian forward Philipp Zulechner should keep his place in the attack after a stirring performance against BVB last weekend and has taken heart from his display: "I saw that I can definitely hold my own at this level and now we're go to Frankfurt aiming to win." That is just as well, as the visitors can ill afford to drop many more points this term.